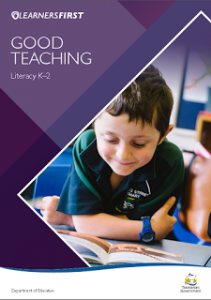 Our Good Teaching resources are grounded in the Tasmanian context and are consistent with our Learners First values of learning, excellence, equity, respect and relationships. 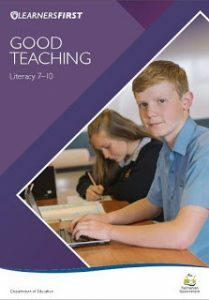 Building on the Good Teaching series and aligned to the Supporting Literacy and Numeracy Success booklet, a set of literacy and numeracy resources were developed in 2016 to give teachers in the early years through to Year 12 more support and confidence when planning for students’ literacy and numeracy needs across the curriculum. They are also useful for principals as they lead school improvement and implement the Literacy and Numeracy Framework 2015-2017. 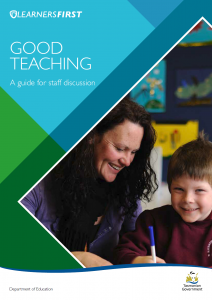 The purpose of this guide is to raise the debate across schools to gain a common understanding of what makes a good teacher. 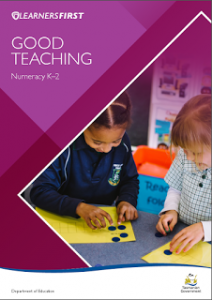 It is the foundation of the Good Teaching series. 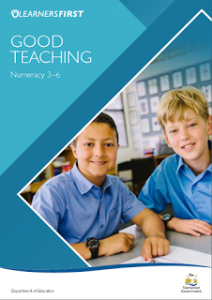 It is recognised that some students require significant adjustments to their learning programs if they are to be optimally engaged and challenged. The process of making those adjustments is known as the differentiation of classroom learning. Differentiation is what is expected of good teachers. 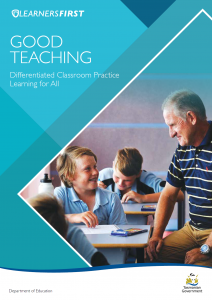 The focus of this resource is to describe what is meant by differentiation and to provide practical strategies and tools that can be used to create meaningful and engaging learning experiences for all students. 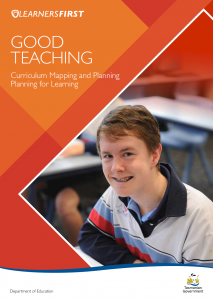 Curriculum mapping and planning is a way of developing a systematic overview of what students need to learn. 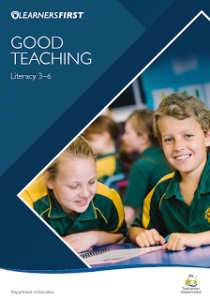 It provides an opportunity to evaluate current practice and fosters communication among teachers at all levels and across a range of subjects. This resource describes processes that schools and individual teachers can use to move from curriculum frameworks to classroom action. It provides guidance for planning directly from curriculum documents. 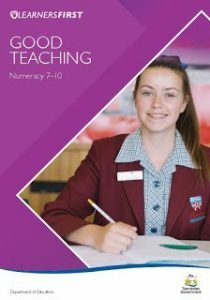 Specific examples are provided for the Australian Curriculum: English and Mathematics. 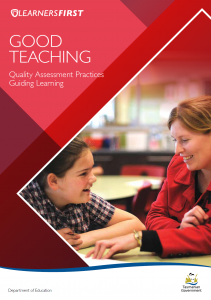 This resource supports schools in their school improvement agenda by describing processes that will guide leaders and teachers in the use of quality assessment practices. It supports schools in the choice of evidence-based strategies to meet the learning needs of all students. When used in conjunction with differentiated classroom practice, it supports teachers to adjust strategies to meet individual needs. improved parent and community information and participation. 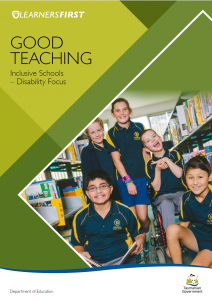 This resource follows on from the Good Teaching: Inclusive Schools – Disability Focus resource and has been developed for teachers who have not previously worked with students with disability. 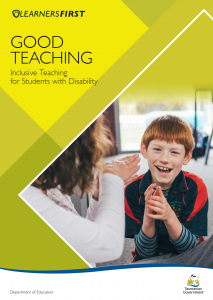 It is a practical resource to develop teachers’ skills and confidence in this area and outlines the different areas of support available across the school and the Department in working with students with disability and their families. 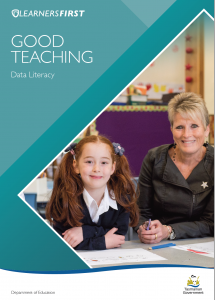 This resource will support teachers and school leaders working individually and collaboratively to use data to make informed decisions about student needs, professional learning needs and teaching and learning programs in order to effect school improvement. 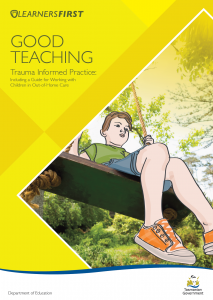 This resource focuses on how educators can better relate to, and support the wellbeing and learning of children who have been impacted by trauma. It provides guidance on how to better understand why traumatised children and young people act and react in the ways they do. It acknowledges that many students who have experienced trauma are students who live in Out-of-Home Care (OOHC).